When Sahra Koshin first returned to Somalia from the Netherlands in 2008, she was full of hope and courage. Eager to use her expertise in gender development to rebuild her wartorn country, she immediately started work with one of the many UN agencies in Mogadishu. “The moment I stepped into the compound, I saw the physical difference of power and influence,” Koshin says. It was, she says, “just a glimpse into an institutionalised exclusion of Somali nationals from the table of decision-making in the country’s aid sector”. For more than 10 years Koshin worked with different UN agencies and international NGOs. She claims a two-tier system exists, with Somali nationals seen as tools for project implementation rather than as people with knowledge. 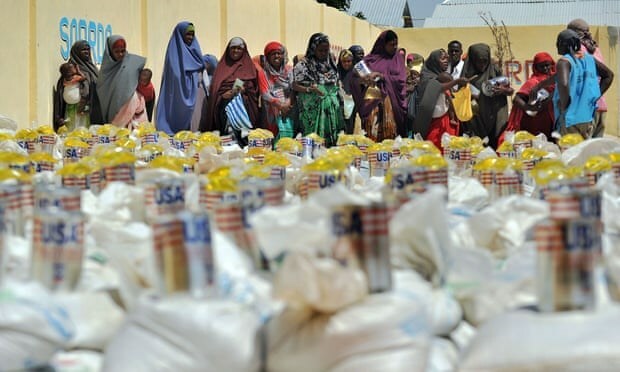 Other Somalis working with international aid organisations interviewed for this article voiced the same concerns. Not wishing to be named for fear of losing their jobs, they said they felt their voices are not valued and that they are excluded from taking ownership. The Somali Congress of Trade Unions (Scotou) says it frequently receives complaints from Somali aid sector staff who talk about lack of respect and unfair treatment by foreign managers. 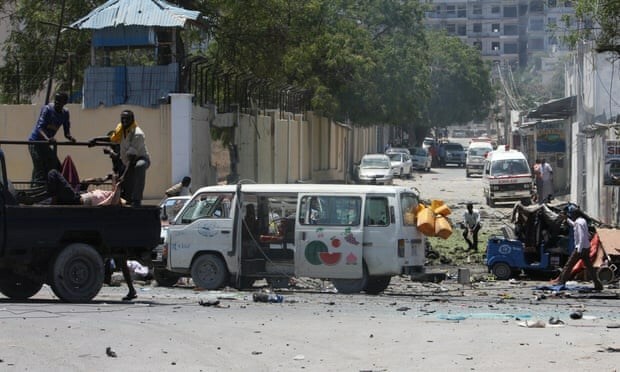 Somalia’s fragile government is recovering from a decades-long civil war and is under frequent attack from the al-Shabaab militia group. Last month, militants attacked the ministry of labour, killing 11 people including deputy minister, Saqar Ibrahim Abdalla. “The lack of strong government and the absence of an independent NGO regulatory board contributes to the exploitation of workers. The ministry of labour has recently finalised the development of a new labour law which if passed will protect and greatly contribute to the welfare of workers,” says Hassan. This was “confirmed by surveys by Ground Truth Solutions in 2017, which found that a quarter of respondent field staff did not believe that affected people were able to influence programme design, and that the views of affected people were not considered because of a lack of engagement and consultation by aid agencies”, said the HPG. Researcher Badra Yusuf said national staff often feel excluded. “They also seem to take the burden of all the field challenges which often amounts to outsourcing workload and problems,” she says. While organisations emphasise the importance of local engagement, Koshin says they isolate staff who could serve as a bridge into communities. In November, Fadumo Dayib, a former presidential candidate, accused the UN in Somalia of systemic discrimination against Somali staff. She resigned as UN Women Somalia country director in October. “Upon reporting for duty in Somalia I was told no Somali was allowed to hold such a position. I was verbally harassed, bullied and ostracised. I spent a hellish one year and six months dealing with this,” she tweeted. “Apparently, a Somali by virtue of her/his ethnicity, is a terrorist, works in cahoots with the government, is corrupt and biased. They might as well as put a sign saying: ‘No Somalis and dogs allowed,’” she added. 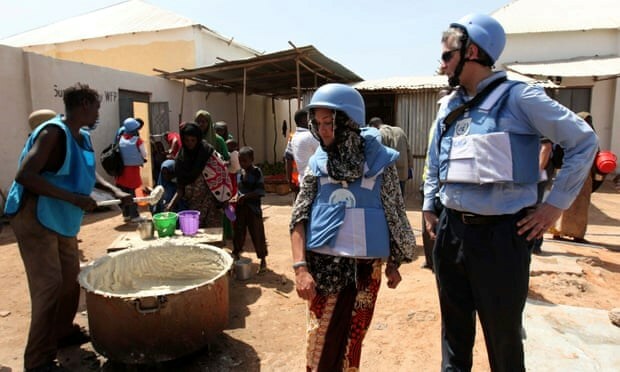 Joe Contreras, spokesman for the UN mission in Somalia, said the two UN missions and 21 agencies in the country employed 1,300 Somali nationals and many ran staff associations to represent their interests. He insisted UN leadership “routinely” travelled outside Mogadishu’s airport compound. “In many agencies, national staff participate in senior management meetings, take part in organisational planning, and are included in high-level decision-making platforms for discussions on the strategic direction of the organisations,” he says. “While human resource procedures and practices vary across agencies, many agencies make active efforts to promote talent development and career advancement for national staff. “A number of Somali national staff have been recruited into international posts in other countries. Given the international character of the UN, representative and director-level posts across all UN countries are hired based on international recruitment.